Nick Foley from the Purple Parrot Biergarten. Nick has been at the Parrot for a little over a year now. 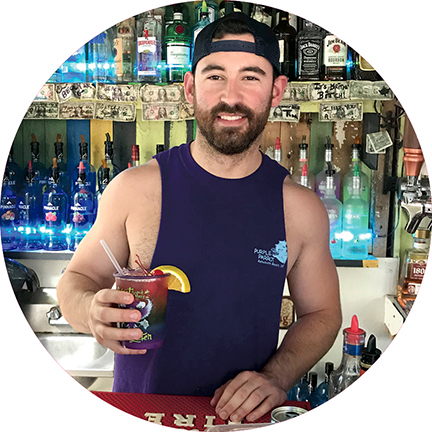 He had to think about his favorite drink, but decided to go with the Monkey Bones, one of the most popular libations at the Purple Parrot. We don’t have exact scientific measurements for you, but we do know you’ll need plenty of bottles of booze at hand to make a Monkey Bones.